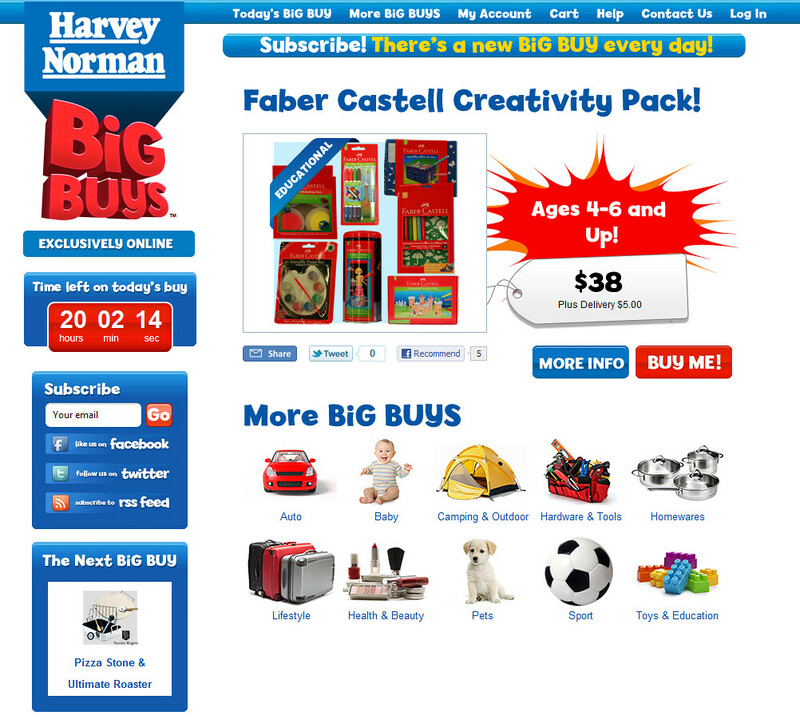 The Yammer network at work yesterday was a buzz talking about Harvey Norman’s new online shop. Gerry Harvey has been very public in recent times in a campaign by retailers lobbying government to reconsider tax rules on items bought over the internet under $1000 in value. The retailers were arguing the playing field wasn’t level. So, here we are a few months later with a retailer’s attempted fight back at web sensations that are “stealing” their customers. Unfortunately for them the site is a ruse. Sure it looks exactly like Catch of the Day – but where is the catch? Like the group buying sites, there is a countdown gaming us to buy before time runs out, and like all the daily deals sites the deal is front and centre. 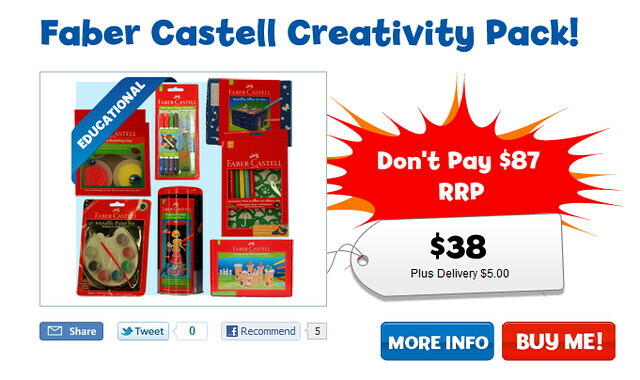 But as you can see from the image below, you cannot even see the savings you are making on the item. They severely missed the point … that is until Day 2 of the site when the saving was finally advertised. Oops. It will be interesting to wait and see how long this site lasts, and what other changes emerge.